Why is being an independent candidate so important to you? How do you feel about candidate slates in local elections? How many years have you lived in Maple Ridge? What experience do you have in Public Education? Why should you be elected to the Maple Ridge and Pitt Meadows Board of Education? What do you feel are the most important issues facing public education and how do you plan to address those as a school trustee? Should low-enrolment schools be closed? Should kids be bused to low-enrolment schools from under-served areas? Can more be done to regulate traffic in the vicinity of schools? Do you support more technology in the classroom? Should teachers be teaching more of the basics? Should there be more discipline in schools? Describe your views on the issues around teaching and learning in the 21st Century? Please provide an example of what you have done that qualifies you for school board. How do you see the school district changing in the next 10 years? What will be your top priority if elected to School Board? What are your thoughts on the provincial government’s SOGI initiative? I have not solicited nor received campaign contributions during this or the last two elections from organized labour nor any other corporate sources. I believe it is important to maintain a strong degree of independence when faced with making some of the particularly difficult decisions which come before the Board. Naturally I want to ensure our employees, parents, students and other partners provide the Board with their input when important decisions are being made so we can give their perspectives full consideration. I am concerned when a slate is formed with the express purpose of electing enough candidates to control the Board. It infers that decisions may be made by the slate away from the Board table by a group of candidates without regard to the input and views of the other elected trustees. The best decisions are made when diverse views are considered carefully. The best Boards are those where trustees listen carefully to the community , stakeholders and each other before working hard to achieve consensus. That is how the current Board has been operating. I am currently a School Trustee with the Maple Ridge and Pitt Meadows School District and serve as Board Chair. 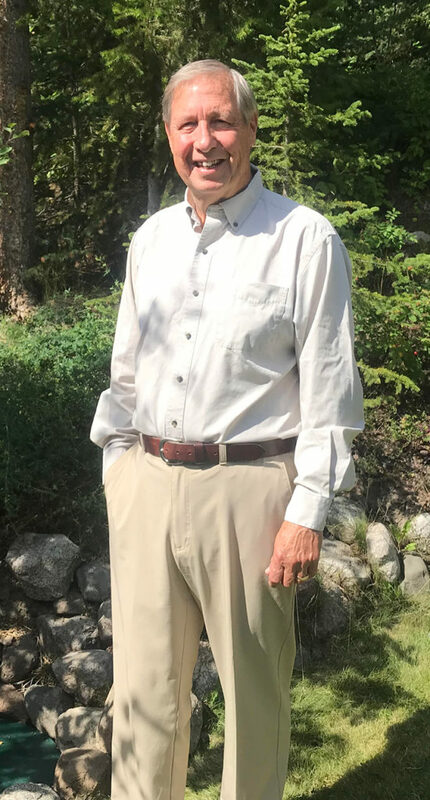 I am 66 years of age and retired as the General Manager of Community Development, Parks and Recreation for Maple Ridge and Pitt Meadows in June of 2010 after 36 years working full time in public recreation. I am currently a volunteer board member with the British Columbia School Trustees Association, the Ridge Meadows Education Foundation and an active member of the Haney Rotary Club. Twenty-two years. Prior to that in Pitt Meadows. updating and developing over 60 School District policies which address subjects such as board governance, financial management, safe and caring schools and the use of technology and social media. maintaining open communication lines with both MLAs, both Municipal Councils, the Katzie and Kwantlen First Nations, Parks and Leisure Services and with education partners including employee groups, administrators, students and parents. Successfully recruiting a new (and I should add outstanding) Superintendent of Schools and an equally exceptional Secretary Treasurer. Agreement on Cooperation and Joint Use of Facilities between SD42 and the Parks Commission - In my previous work I authored and implemented the agreement leading to many projects and services benefitting students - The agreement is seen as a model in the Province and led to many policies and sub agreements resulting in joint services and projects of benefit to students and families. These included projects like the three artificial turf fields situated at Westview, Samuel Robertson, and PMSS, the track and lacrosse box at MRSS, park and school site developments at Edith McDermott, Eric Langton, Alouette, Alexander Robinson, MRSS, Thomas Haney, Websters Corners, and Fairview and services like the after school active kids clubs at several Elementary schools. In addition Parks And Leisure Services participated with several PAC groups in funding play equipment upgrades. The community garden projects resulted from Parks and Leisure services involvement with School District staff as did projects like the Eric Langton Hive. The agreement also led to use of the Arts Centre, Leisure Centre and arenas by many school classes and the current joint capital projects at many locations including the C’usquenela Elementary School and Albion Community Centre. Youth work - I always think the extent to which one has worked directly with youth is another indicator of the degree to which one is committed to helping young people be all they can be, which is certainly the role of the public education system. My early career was almost exclusively in this role as I ran several youth related recreation programs and volunteered with groups like Beacon Services, an organization which supported developmentally disabled youth and adults. I also enjoyed a few years as "Akela" in my son's cub pack and more recently served on the Board of the North Fraser Therapeutic Riding Association, which supports challenged youth and adults to be successful through equestrian activities. Currently I am involved with the Haney Rotary club running the International Rotary Youth Exchange program. The Greg Moore Youth Centre, the Pitt Meadows Youth Centre and the Iron Horse Youth Safe House are also projects in which I was privileged to have a role. A personal connection to the education system - Finally, my spouse, Nancy, is a recently retired elementary school educator and my daughter is a teacher at New Westminster Secondary School. We've had many discussions about teaching and the challenges of classroom management in my household over the years which provided me with a perspective I value. As a result, I have a high regard for teachers and the work they do both in and outside the classroom. Helping a very diverse student population achieve their full potential (Student success) - The students in our public schools are more diverse economically, ethnically and with special needs than ever before. Helping all of them to achieve success is a challenge given diverse learning styles and needs. The District has done a great job of responding to this diversity with alternative opportunities and learning models. That is because the most important focus for the Board has been and should continue to be providing students with the opportunity to identify their strengths and achieve their potential as contributing members of our society (student success). That should drive the Board's decision making. If choices need to be made, those which contribute the most to student success should receive the Board's support. If I am fortunate enough to be re elected the question I will continue to ask staff to address at the Board table is to what degree the recommended course of action impacts our students' ability to achieve success. The Problem - Many have suggested education in BC has been underfunded for years and quote a comparison completed by the BCTF which indicates the Province provides close to the lowest funding per pupil in Canada. The comparison would be more useful if coupled with comparisons to results which have been good in BC. Governments at all levels must aspire to achieve the desired results as efficiently as possible. It's not a crime to spend less if we are achieving very good results... our citizens will thank us for that. The problem is system sustainability. Will we be able to maintain our current levels of student achievement with continuing financial pressures? I doubt that. The relatively recent settlement of the class size and composition language in the teachers’ collective agreement have brought some welcome relief to some areas. However, there are others we are still struggling to address like the need for more mental health and special needs resources, not to mention the pressures on the support side of our organization. What caused the problem? - The desire to balance Provincial Budgets is laudable. Doing that in the face of inflationary pressures is very challenging. Governments have to increase revenues and/or reduce expenditures to balance their budgets as costs rise. The Province has directed that Boards of Education achieve balanced budgets without the ability to set tax rates. The only option is to cut expenditures. School Districts have absorbed significant additional costs over which they have no control by cutting budgets for several years. One of the reasons is that school property taxes have not been raised by the Provincial Government for some time. Municipalities understand that a 0% tax increase in an inflationary environment means cutting services to citizens. Some have increased beyond inflation which may be cause for concern but they at least recognize the need for small annual tax increases to offset the increased cost of operations. My family's property taxes for Municipal purposes rose by almost 50% over the last ten years (a level I am happy to support) while my property taxes for school purposes actually went down by 16%. There is something wrong with this picture. The answer? - Continuing to look for efficiencies by consulting with partner groups is always appropriate although increasingly difficult since anything resembling fat has already been removed from the education system. The Board must work with the Provincial Government on ensuring a fair distribution of resources throughout the Province while encouraging consideration of such unpopular strategies as increasing school property taxes. The Board will be following up shortly with local MLAs and the Ministry of Education on the questions it raised with them earlier this year including its input to the independent panel which was tasked this year to review the funding formula. New Schools to serve a growing student enrollment- The first phase of the ten-year facilities plan indicated a new school is required in Albion and that another school will eventually be required in Silver Valley. The new school in Albion area has been approved and is currently under construction. Additional steps are being undertaken to implement the next steps in the plan. Labour relations - Despite recent settlements which should provide an opportunity for longer term labour peace maintaining good relationships and a positive working environment requires continuous effort. What role can the board of education play to achieve a positive labour relations climate? In a sentence we need to listen carefully to all of our partners (including employee groups), be as transparent as we can and ensure there are opportunities for ongoing dialogue. We must always maintain communications at the highest levels. It is even more important to do so in times where difficult decisions have to be made as a result of budgets or bargaining. All of our partners meet regularly with senior administration in the School District. More recently, the Board has established a round table to increase direct communication between all of the partners including the Board of Education. Partner representatives attend each others' monthly meetings as well. Meanwhile the Board continues to explore an improved co governance relationship with the provincial government through the BC School Trustees Association in an effort to have a greater influence on government policy. Bargaining - We provide advice to BCPSEA (the employer's representative at the bargaining table) by nominating a representative who talks to our Board to obtain their perspective on items we have been asked to provide input on and attends meetings with trustees from around the Province to discuss bargaining matters. The Province reserves the right to make final decisions on bargaining matters with cost implications since they pay the bulk of the bills. From a local perspective we can and do provide input to the bargaining process and encourage consideration of those items the Board feels are most appropriate including those we feel will contribute to a longer lasting positive labour relations climate. No, elementary schools in particular are important neighbourhood centres. I would not favor closing any additional schools unless the District is faced with a level of restraint that would result in having to choose between closing a low enrollment school or reducing other services which would have a greater negative impact on student learning. If forced to make that choice school proximity and other factors would be considered along with enrollments to determine the right school to consider for closure. Our current reality is that our student enrollment is growing significantly and we will need to add, not reduce, the space available to us. Should kids to bused to low-enrolment schools from under-served areas? Until new schools can be constructed in Albion and Silver Valley the School District does not have a choice. These cannot be constructed until sufficient operating and capital funding can be provided to do so. Yes and No. Yes because spot enforcement could be stepped up on a random rotational basis during drop off and pick up times (utilizing auxiliary RCMP members if and when resources permit) and better parking and pick up/drop off design could be utilized to address peak traffic flow. No because speed limits are already restricted in school zones and parking regulations are clear. Of course the best solution is to encourage students to walk to and from schools which requires that students attend schools in relatively close proximity and that there are safe walking routes available. Yes. Tools that assist teachers and support staff do their best work are a must and reflect the reality of the world our children are entering. They can also be used to help address the increasingly diverse needs of students where some are able to progress more quickly than others through learning modules. There are several examples of technology being used to great effect in the school district at this time like the Elementary literacy project and the student Inquiry project. Not if teaching the basics means limiting the opportunities for student learning. In my definition the "basics" include providing all of the opportunities a student should have to explore their potential and live a fulfilled life contributing to society, as well as ensuring all students acquire fundamental skills in communication (reading and writing) and numeracy. I believe students are already receiving that level of education and those who are academically inclined can pursue further academics as they wish. I do not agree teachers should be teaching more of the basics if the intent is to suggest that all students should be required to focus much more and only on academic subjects to the exclusion of all other enriching subjects which allow students to determine where their personal strengths lie. In my view doing so would seriously limit the ability of our education system to address the needs of many students. No, I am confident our educators and support staff are doing everything possible to establish an appropriate standard of behavior in our schools and creating a positive learning environment for students. With that said adequate support must be provided to teachers to address the needs of students in their classrooms who have been designated as having exceptional behavioral challenges. This is a question that deserves a lot more discussion and research than can be addressed in a two or three paragraph answer. However, I will attempt to do my best based on the available information. I reviewed the BCTF report on 21st Century Learning and, although it raises more questions than definitive solutions, I concur with the notion that education cannot be focused solely on ends which support a world view of success measured only in economic terms. A more "significant focus on developing an individual's good and worthwhile life, which enables citizens contributing to a civic and civil society" (p. 4) seems to me to be more desirable and reflects a view I have held for some time. "However, the 21st Century learning initiative web site does state that one of the goals. is the building of sustainable community as a support for human endeavor." "...the learning initiative website also states that plans are being made to establish an initiative for the study of human values, ethics and community development. Such plans may address and possibly remedy the limited focus on equity and environment to date by incorporating issues of social justice and sustainability to widen the frame of what constitutes 21st century learning." De schooling - In my view Schools are integral to neighbourhoods and creating a sense of community, and essential elements to the development of "citizens contributing to a civic and civil society". Schools are often the heart of neighbourhoods providing citizens with opportunities to become known to each other and to be "neighbours" in the sense of caring for each other's needs. Lifelong friendships frequently begin at schools where children play and learn together, learn to work collaboratively and begin their interactions with a world outside their homes. Smart Learning and restitution are approaches I've heard about from my spouse and daughter which reinforce, in the first instance, teachers acting as facilitators as well as students helping each other to learn and, in the second instance, students accepting responsibility for their behaviours toward others. They are examples of the kind of learning which is important in our world today and reinforce the notion of understanding what it is to be a good citizen as an important outcome of education. The fact that these approaches are being encouraged through professional development and in our School District's Vision statement indicate that these values are evident today in our schools. I hold that there actually needs to be more integration of the broader community into schools to reinforce the idea of citizenship and students being part of something larger, and to bring community resources into the school setting to assist teachers who are dealing with increasing student diversity. Public schools contribute hugely to social equity and multicultural understanding and we must always be looking for ways to support and reinforce that role. If I understand the concept correctly, de-schooling would diminish that potential and lead to more student isolation. Standardized Testing - With respect to standardized testing I concur with the report in its indication that many teachers teach to the test, occasionally at the expense of other learning. This is understandable given the pressure of results being published, inferring teacher and school competency. As a grade four teacher my spouse felt that pressure herself. We talked a great deal about the concerns she and her colleagues had with FSA testing. While ensuring some level of foundational skill assessments are still in place, providing the teacher with the tools to complete that work on his/her own and communicate results to school administrators and parents with respect to their own child's progress makes more sense to me. The Board has proposed a system to government which eliminates school by school reporting of results and have advanced resolutions to that effect through the BC School Trustees Association. I like the idea of discussing the use of the three questions Cuban (2003) poses on page four of the BCTF report as part of an annual school performance planning process which incorporates a broader definition of what the outcome of education should be. What measurement tools could be used to collect the data necessary to respond to those questions remains to be identified, and would certainly need to be discussed with all members of the school community, to ensure they are not simply adding to the burden teachers and school administrators already face. However, if the old saying "what gets measured gets done" is true using this kind of data collection might help broaden the agenda for education to the degree espoused by the BCTF paper. I have attempted to answer those questions I felt I could answer as thoroughly as possible and perhaps in greater depth than I should, but did so in the interests of letting teachers know how I think and what I believe in. I would like to emphasize once again that I do appreciate the important role teachers play and how much I admire their skills and dedication. If I am elected I will listen carefully and give every consideration to all points of view including those of the professionals who are working directly with our students and face the challenges and enjoy the successes, they see every day in the classroom. While I believe I have a lot to offer I do realize there is a lot I don't know and have to learn to be effective as a trustee. I have been a trustee for two terms and elected to the position of Chair for the past seven years. I have 43 years of non-profit board experience and served for 36 years as a senior administrator advising Municipal Councils and Commissions on policy and strategic planning. I've learned a great deal serving as Board Chair. I've brought considerable governance experience to the board and a community perspective derived from years of involvement with several organizations. I'm an independent candidate... I've neither sought nor accepted union or corporate donations during this or the previous two elections. obtaining the necessary resources to ensure that can happen. We'll continue to press government for answers to the questions on education financing the Board posed earlier this year. I was on the Board of Education in 2013 when we adopted the safe, caring and healthy schools policy. The Board adopted that policy in response to several students coming forward to express concern that they and many of their friends in the LGBTTIQ community were experiencing significant harassment, discrimination and bullying in our schools as a result of their sexual orientation or gender identity. They indicated that harassment, discrimination and bullying was having a serious impact on their learning and health. They showed us several photographs of students who had taken their own lives as a result of that pressure….it was an incredibly poignant moment I will never forget. We all know that family acceptance, a sense of belonging and the elimination of discriminatory behaviors, harassment and bullying lead to a dramatic improvement of mental health outcomes for these students. We met several times with staff and students to develop the policy. Integral to their input was the notion that the policy couldn’t just say discrimination and harassment were unacceptable. They were adamant, and we agreed, the policy needed to include a commitment to provide sufficient education to ensure all staff and students understood why such behaviors are inappropriate. In July of 2016, Bill 27 – The Human Rights Code Amendment Act was passed to include “gender identity or expression” among the protected grounds covered by the Human Rights Code. The BC Ministry of Education followed in September with its own direction asking that explicit references to sexual orientation and gender identity be added to the policies and codes of conduct in each school district. Our 2013 policy already included such references. The SD42 policy can be found at http://www.sd42.ca/assets/media/Policy-9410-Safe-Caring-and-Healthy-Schools.pdf . - indicates the expectation that schools will ensure students and staff are educated in and free to discuss the areas of understanding diversity, harassment, discrimination, homophobia, transphobia and heterosexism in ways that are relevant and age appropriate. - commits the Board to promote opportunities for staff to increase their knowledge and skills in promoting respect for human rights, supporting diversity and addressing discrimination in schools. SOGI 123 has been endorsed by the Ministry of Education. From the Board’s perspective SOGI 123 is simply one tool our educators can use (in an age appropriate manner) to address the obligations they have which are outlined in our safe, caring and healthy schools policy. The Board should continue to provide opportunities for educators to learn about resources offered through SOGI 123 and how they can be used most effectively to achieve the result envisioned in the policy. As always we would encourage parents to have direct discussions with teachers should they have any concerns.